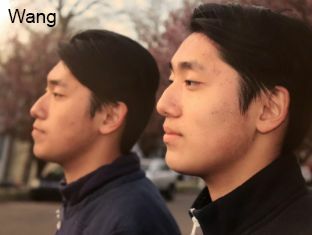 Jake and George Wang ’20 stand together, highlighting their twin similarities. What’s your brother thinking right now? Who’s smarter? If I were to hit your brother, would you feel it as well? It’s complicated. Sure, if you have ever seen me around at Hopkins, you usually can find me with my brother, and it seems like we’ve always been together for our entire lives. However, we do know what it feels like to be separated. During the 2015-2016 school year, we attended and boarded at different schools. I went to Simsbury High School in Hartford County, and my twin brother, George Wang, went to New Canaan High School in Fairfield County. On the first day of school, it felt strange not having my twin by my side. When I attended my first-period class in my new school, nobody gave me a second glance. Nobody asked if I was a twin. Nobody got confused about my name. My name was Jake, and that was it. During my first cross-country practice, nobody compared my 5K times with my brother’s. I ran my own times with my own team, and that was that. When I talked to my friends, they would confidently call me Jake. I wasn’t used to being called the correct name all of the time. Since most of my friends and my brother’s friends at each of our respective schools didn’t even know we were twins, we decided to have fun one day. We showed up to each other’s schools and freaked out the entire student body--but that’s a story for another time. difficult to make friends single-handedly in a new school. Being eighty miles apart from each other was like living a different life. We developed different sets of friends, pursued our own interests, and lived completely different lives for the entire school year. It was like George and I didn’t even know each other at all. By being separate from my brother, I learned to become more independent. On the last day of school in June, during the week of final exams, I sat outside and thought about my year. I already knew I would be attending Hopkins in the upcoming fall semester. It felt strange – but in a good way. To a certain extent, I was sad to leave my new friends, but then a realization hit me. I not only developed a sense of independence, but I also developed a sense of my own identity. I wasn’t known as “the twin,” or “George;” I was known for who I was as an individual person. Nobody would assume that I would exhibit the same qualities or interests as my brother. By separating, I’ve realized how important it is to have your own identity. I realized the value of being a separate person with a unique personality. I was sad to leave this kind of life. Then came the first day of Hopkins School, in the 2016-2017 school year. George and I reconvened to the same school. I can recall a conversation I had with a Hopkins classmate: Classmate: “Are you Jake or George? You’re George, right?” Me: “No, I’m Jake.” Classmate: “Whatever, same thing.” At first, I missed being independent from my brother, but then I realized it was nice going to school again with him. Everything was back to “normal.” People were confused. No one could tell us apart again. This struck me as odd because I was known as “the twin” again. I remembered what it was like to be a twin. I missed the uniqueness. I missed the confusion that people would have. Before we left for different schools, for the first thirteen years of our lives, we did everything together. We played the same sports, took the same classes, had the same friends, had the same hobbies, attended the same events, and, most importantly, we stuck together. Now, we were back together, living our old lives. It felt like a reminiscent dream rekindled.